At RestorationMaster, we offer complete water damage restoration services to get you back on your feet following your property’s exposure to excess water and moisture. In the event of leaks, burst pipes, flooding, sewage backups, and more, it is important to address the problem swiftly in order to limit the extent of the damage. 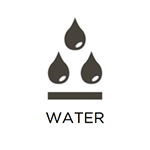 Our technicians utilize advanced water extraction and drying equipment to remove these elements and will then restore affected areas and belongings. We offer these services to property owners in Solon, OH. 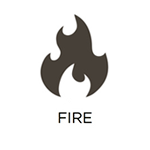 Fire, smoke, and soot can all result in tremendous levels of damage when left unaddressed. This is why we offer 24/7 fire damage restoration services here at RestorationMaster. Our specialists will respond rapidly to stabilize your property, and treat sensitive materials affected by fire and smoke. We will then work to fully restore your building and belongings. We offer these services to residential and commercial property owners in need in Solon, OH. There are a number of severe weather events that can occur in Solon, OH. Blizzards, tornadoes, severe storms, and hail are simply a few. 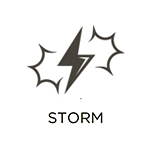 When these events strike your residential or commercial building and cause damage, we have you covered through our storm damage restoration services. Our RestorationMaster technicians know how to address damage resulting from a variety of events and we are available 24/7 to stabilize and restore your property. No matter the extent of the damage, we will get your home or building restored. 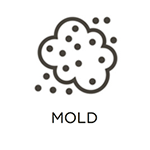 Effectively removing mold can be difficult because of how easily it can spread its spores and grow in other locations. At RestorationMaster, we offer professional mold removal services to prevent this. Our specialists make use of advanced mold detection and removal equipment to contain mold, and then eliminate it at its source. From here, we will restore all affected areas and belongings. We offer these services to commercial and residential property owners in Solon, OH. When severe accidents and violent crimes take place on your property, it is critical that you contact appropriate personnel, such as law enforcement and EMTs. You should then contact our RestorationMaster representatives about our trauma and crime scene cleaning services in Solon, OH. We work in tandem with law enforcement to remove dangerous substances from your property without affecting crime scene investigations. We will also ensure that your property is fully decontaminated and restored. 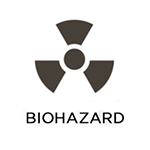 At RestorationMaster, we offer biohazard cleaning services to residents of Solon, OH, for situations involving exposure to harmful biohazard materials. These substances include elements that can result in the spread of diseases and infections when left unaddressed or mishandled. Our technicians utilize certified equipment and procedures to decontaminate your property and dispose of these dangerous substances. We will restore your property to its original condition efficiently and effectively. If your commercial building and assets are affected by fire, smoke, soot, water, mold, or something similar, we encourage you to take advantage of our commercial restoration services. Our RestorationMaster personnel are trained and certified to address all of these situations and more. We understand that each day spent recovering results in potential revenue lost. We work diligently to restore your property in a timely and effective manner, no matter the scale of the project. We offer these services to businesses and commercial property owners in Solon, OH.